In 1848 revolution broke out in Paris. As the news from Paris reached Hungary, Kossuth went on the political offensive at the Pozsony Diet with his liberal-radical program, which was soon relayed to Pest. The Opposition Circle drafted the ‘demands of the Hungarian nation,’ the famous Twelve Points constituting the essence of Kossuth’s program and reflecting the ideas of the Pest radicals. The twenty-five-year-old poet Sándor Petőfi, drafted the fiery ‘National Song,’ and the next day the young revolutionaries had the poem and the Twelve Points printed without the censor’s approval. The Twelve Points expressed what the nation demanded: freedom of the press, abolition of censorship, a cabinet of responsible ministers and a National Assembly in Buda-Pest, equality of civic and religious rights, equal and universal contribution to public expenses, abolition of tax privileges, a national bank and national armed forces, freeing of political prisoners, legal reforms, and union with Transylvania. The revolution wanted to abolish restrictive and discriminatory laws, indeed, the entire political and economic system. At the Pozsony Diet, conservatives in both chambers were swept aside by Kossuth’s party, a victory due partially at least to the rumor that a peasant army led by Petőfi was set to march on the city. At the imperial capital, the March revolution succeeded because the government was weak and psychologically destabilized. After Metternich’s dismissal, the feeble King Ferdinand and his court ratified the key laws of the Hungarian Diet, the ‘April laws.’ The promulgation of these laws meant that the revolutionary achievements became legalized. A government accountable to the assembly was to be installed, serfdom abolished, and the road to universal suffrage opened. The main national demands had been granted. The new Hungarian council of ministers, presided over by Count Lajos Batthyany, included Kossuth as minister of finance and Szechenyi as minister of public works and transport. On 11 April, the ancient diet was dissolved and replaced by the National Assembly, elected by direct suffrage constituted by the nobles, the bourgeoisie, and wealthy peasants. Hungary was now a constitutional parliamentary monarchy, governed by an accountable ministry. The Habsburg emperor, however, remained king of Hungary; Hungarian sovereignty was not internationally recognized, and there was no foreign office in Pest. A national currency, the forint, was soon in circulation, and a Hungarian National Guard and army were established. Finally, following a general election, the first National Assembly of 415 deputies, mainly from the provincial nobility, opened on 5 July, with few radicals elected. Transylvania proclaimed reunification with Hungary, and the issue of military frontiers under Austrian rule was also resolved. The demands of ethnic minorities were listened to, placated, but basically refused. Hungarian liberals of 1848 were not ready to renounce the concept of a unitary state and to concede autonomous territories to the different nationalities. They felt that liberating the serfs and ensuring equal civic rights to all citizens, regardless of ethnicity or creed, would solve the minority problem. Croatia constituted a special case. It was part of the Hungarian Crownlands, but enjoyed considerable autonomy and its own diet, while also dependent on the authority of the civil governor designated by the king of Hungary. Neither the ban, General Josip Jelačić, a strong national figure, nor the more powerful section of the Croatian political class wanted to march alongside the Magyars. Vienna initially approved Hungary’s position with regard to the national minorities and went as far as recalling Jelačić, but quickly restored him. The intention was to put an end to the Hungarian revolution. Victories against the rebels in Italy and in Bohemia, and news that the Paris barricades had fallen, had restored Austria’s confidence. The Habsburg government tried to reverse the political concessions it had made in its moment of weakness and set about encouraging ethnic separatism within Hungary. In the face of danger, the Buda-Pest government hastened its own preparations for war. A national army—called Honvédség, “defender of the Homeland”—was set up, armament and equipment factories bought, political and social rights broadened, and patriotic propaganda increased. “The fatherland is in danger,” a slogan launched by Kossuth, reverberated throughout the land. His speech to the assembly led the deputies to vote for recruiting 200,000 men and extending a sizable military credit. 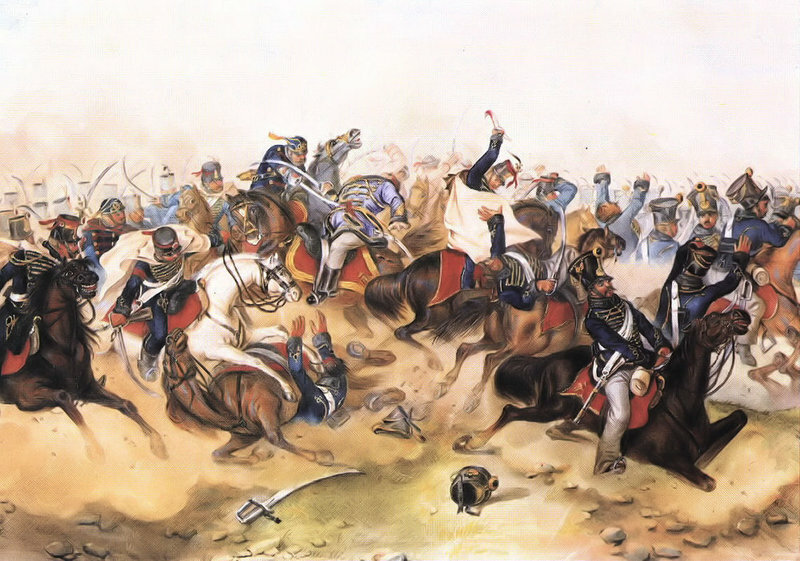 On 11 September, 1848, Jelačić’s army entered Hungary. Austria was still negotiating, but clearly Jelačić’s war was Vienna’s. After Batthyány’s resignation, Hungary came to be governed by a Defense Committee, which the assembly vested with all powers. It was Kossuth’s moment—his speeches fanned the fires of patriotism and mobilized the population. On 29 September, the Honvéd army stopped Jelačićat Pákozd. After this, the monarchy dissolved parliament and replaced Batthyány; the Hungarian Assembly declared these decisions null and void. On 6 October, the people of Vienna rebelled, forcing the court to escape to Olmütz (Olomouc) in Moravia. Two days later, the assembly in Pest nominated Kossuth to be president of the Defense Committee, with almost dictatorial powers. By December, Austria had a new emperor, Franz Joseph. The eighteen-year-old emperor-king soon demonstrated his ambition to reestablish absolute authority at all costs and without compromise. Meanwhile, the legendary Polish general, Józef Bem, had offered his services to Hungary and taken command of the Transylvanian army. Having won several battles, the Austrian commander, General Windischgrätz, told the emperor that Hungarian resistance was over. Vienna, encouraged by the news, issued a manifesto that nullified the 1848 laws and subjected Hungary to the government in Vienna. This caused serious dissent within Kossuth’s army and unrest in the Hungarian Peace Party, which was opposed to the pursuit of war. Kossuth’s eloquence and his policies won over the peasantry, inspired the army, and rallied the moderates and the undecided—but not the entire political class. Vienna’s absolutist circles wanted to drown Hungarian ambitions once and for all. There was little room for negotiations. 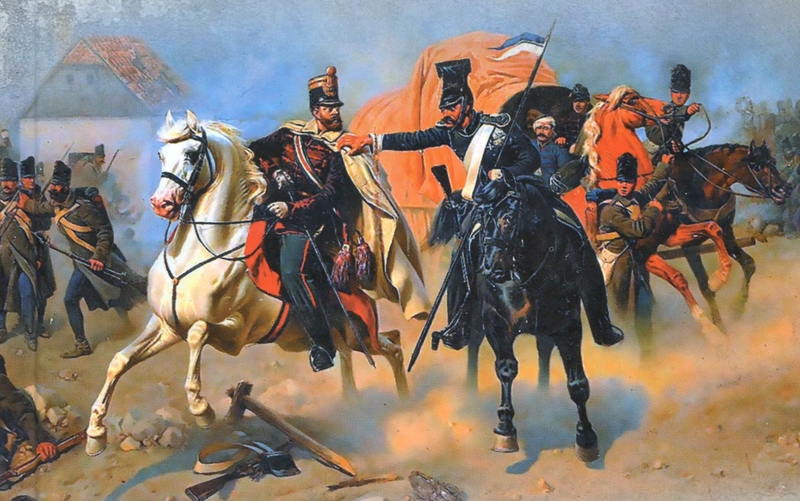 Kossuth saw only two courses of action: either to fight until victory had been achieved, which he still thought possible, or to capitulate unconditionally. He chose the former. On 13 April 1849, despite opposition from members of the legislature, Kossuth proposed a Declaration of Independence of the Hungarian state and the dethroning of the House of Habsburg-Lorraine before the National Assembly. The bill was unanimously approved the following day at a public meeting of an enlarged Assembly. Kossuth now had behind him not only the majority of parliament, but also, he claimed, the loyalty of the army and popular support. The break with Vienna and the king was now complete. Hungary was not proclaimed a republic. The constitutional shape the Hungarian state was to take would be decided later. For the moment, Kossuth was elected president-governor, but, contrary to the wishes of a small radical left, the assembly did not confer full powers on him. Kossuth was more representative of the dominant middle nobility in the assembly than of the Left or, indeed, the opposition, which favored accommodation with Vienna. His principal objective had been achieved. Hungary had become independent. Despite initial optimism and success, Hungary’s days of independence were numbered. Responding to his imperial cousin’s call, Russia’s Tsar Nicholas decided to deploy his army against the Hungarians. In June the Russians invaded Hungary, and the Hungarians found themselves caught in a stranglehold. Austrian and Russian superiority of forces was overwhelming. Kossuth’s government concentrated on its military effort, while pursuing its liberal democratic policymaking. On 28 July, it emancipated the country’s Jews, and an enlightened nationalities law was promulgated on the same day. This legislation gave minorities the freedom to use their mother tongue at the local administrative level, at tribunals, in primary schools, in community life, and even within the national guard of non-Magyar councils. It was the first law in Europe to recognize minority rights. These actions, however, were too late to influence events in the two weeks leading up to military defeat. After the Russian invasion, hopes of saving the country were slim. On 9 August, General Haynau beat and dispersed the main Hungarian army. Kossuth abdicated, transferred all powers to General Artur Görgey, and sought refuge in Turkey. Three days later, the War Council decided to surrender to the Russians at Világos, near the city of Arad. The war ended and repression began. The tsar sent his son to Vienna to persuade Franz Joseph to act with clemency, but the Austrians executed thirteen top generals along with the former president of the Council of Ministers, Count Lajos Batthyány, and several other military and civil individuals. Nicholas was able to save only the life of Görgey. Many were condemned to death by war tribunals, others were simply massacred, and thousands received long prison sentences. The poet Petőfi died two weeks before the end, fighting with Bem’s army. He was twenty-six years old. Count Szechenyi fell into a depression in September 1848. His tortured soul found a degree of tranquillity in a psychiatric establishment near Vienna, where he continued to write and to receive friends; he took his own life in 1860.